"Dr. and Mrs. Kaufman are truly remarkable and have cared for our two Boston Terriers, Pepper and Duke, with the upmost care for over four years. They are always helpful and take the time to answer all of our questions as well as work with us to determine the highest quality care for our furry companions. 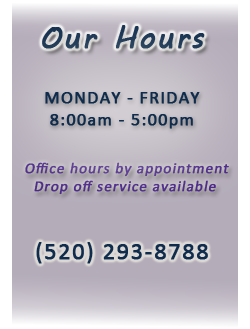 We would recommend Desert Hills Pet Clinic to anyone seeking a reliable, trustworthy, and caring veterinarian office."